Educational Qualification: Ph.D, M.A. and B.A. Research Interest: His current research area is Biomedical Ethics, Neuroethics and Philosophy of Science. 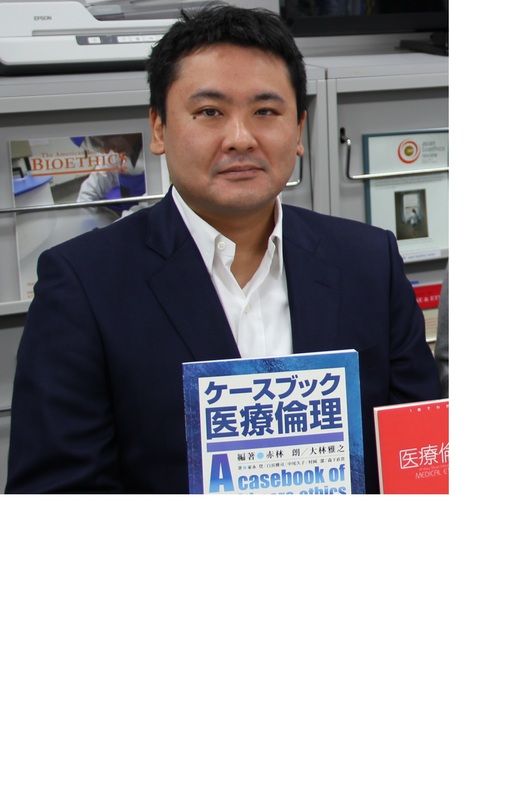 Biography: Eisuke Nakazawa, PhD, is a lecturerin the Department of Biomedical Ethics at the University of Tokyo Graduate School of Medicine (Japan). Completed the doctoral course in Philosophy of Science at the University of Tokyo. His current research area is Biomedical Ethics, Neuroethics and Philosophy of Science. Nakazawa E. 2007. Neurophilosophy of Memory. The Proceeding of The Second BESETO young-scholar Conference of Philosophy: 111–118, Beijing University. NakazawaE. 2009. Personal Identity and Memory Erasure. The Proceedings of the 3rd BESETO Conference of Philosophy: 339–344, UTCP, DALS. Nakazawa E. 2010. Memory Erasure and the Idea of Authenticity. The Future of Philosophy in East Asia: The Proceedings of the 4th BESETO Conference of Philosophy: 205–212, Seoul National University. Fujita M, Hayashi Y, Tashiro S, Takashima K, Nakazawa E, Akabayashi A. 2014. Handling incidental findings in neuroimaging research in Japan: current state of research facilities and attitudes of investigators and the general population.Health Research Policy and Systems 12(1): 58. NakazawaE,Takimoto Y, Akabayashi A. 2016. Social framework surrounding the development of regenerative medicine in Japan. Cambridge Quarterly of Healthcare Ethics 25(3): 466–471. Nakazawa E, Yamamoto K, Tachibana K, Toda S, Takimoto Y, Akabayashi A. 2016. Ethics of Decoded Neurofeedback in Clinical Research, Treatment, and Moral Enhancement. American Journal of Bioethics Neuroscience 7(2): 110–117. Yasumura A, Takimoto Y, Nakazawa E, Inagaki M. 2016. Decision Making in Children with Attention-Deficit/Hyperactivity Disorder. Open Journal of Pediatrics 6: 158–162. Takashima K, Takimoto Y, Nakazawa E, Hayashi Y, Tsuchiya A, Fujita M, Akabayashi A. 2017. Discovery and informing research participants of incidentalfindings detected in brain magnetic resonance imagingstudies: Review and multi-institutional study. Brain and Behavior. 2017 May; 7(5): e00676. https://doi.org/10.1002/brb3.676. Nakazawa E, Yamamoto K, Akabayashi A, Akabayashi A. 2018. Regulations on Genome Editing of Human Embryos in Japan: Our Moral Moratorium. Cambridge Quarterly of Healthcare Ethics27(3): 360–365. Toda S, Nakazawa E, Yamamoto K, Akabayashi A. 2018. From “cannot” function to “might” function: Assessment of actual levels of consciousness and potential consciousness in patient care: Japanese experiences. American Journal of Bioethics Neuroscience9(1): 20–22. Nakazawa E, Yamamoto K, Akabayashi A. 2018. Fairness and desert: A critique of the random selection criterion in clinical trials. American Journal of Bioethics 18(4): 81–82. Nakazawa E, Maeda S, Yamamoto K, Akabayashi A, Uetake Y, Shaw MH, Demme RA, Akabayashi A. 2018. The Reuse of Cardiac Organs in Transplantation: An Ethical Analysis.BMC Medical Ethics 19:77. https://doi.org/10.1186/s12910-018-0316-z. AkabayashiA, Nakazawa E, Ino H, Ozeki-Hayashi R, Jecker NS. 2018. Sacrificing the Fukushima 50 again? Journal of Public Health. fdy143, https://doi.org/10.1093/pubmed/fdy143. Akabayashi A, Nakazawa E, Jecker NS. Tighten up clinicaltrial of stem cells. Nature 560: 431 (23 Augst 2018). Nakazawa E, Tsuchiya A. 2018. Polarity of Public Perception over General Consent: Survey onConsciousness of Healthy Japanese Participants in Brain DatabaseProjects. Annals of Bioethics and Clinical Applications 1(1): 000102. Akabayashi A, Nakazawa E, Uetake Y. 2018. Two major concerns surrounding governmental approval of tumourectomized kidney transplants in Japan. Nephrology and Renal Diseases 3(2):1–2. doi: 10.15761/NRD.1000139. Nakazawa E. 2014. Regenerative Medicine and Science Literacy. In The Future of Bioethics: International Dialogues. Ed. Akabayashi A, Oxford University Press, Oxford, 31–34. Fukushi T, Isobe T, Nakazawa E, Takimoto Y, Akabayashi A, Sakura O. 2017. Neuroethics in Far East. In Routledge Handbook of Neuroethics, Ed. Johnson LSM, Rommelfanger KS, Taylor & Francis/Routledge, New York. 442-456.